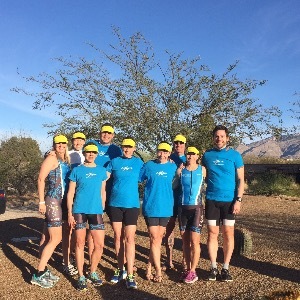 I specialize in beginner and intermediate long endurance triathlon & endurance running as well as strength training, nutrition prep, and mental training. I have both local and long-distance athletes ranging from beginner to experienced. Please see my website for full details on all pricing. "Achieving your best is more than just training for the sport. It’s about nutrition, mental preparation, time management, injury prevention, and work-life-training balance. I coach all of my athletes based on their individual needs & challenges – we leave no proverbial rock unturned. My promise to my athletes is to provide timely, thorough feedback & answers. In return, I require my athletes to check in daily so I can provide the most individualized coaching plan possible. I’m available 24-7-365. Being an ACHIEVE athlete means you can take the guesswork out of training. Leave it to me to organize your racing plan as we work together as a team to achieve your goals. My personal accomplishments include being a 3x IM World Championship finisher, multiple Boston Marathon finishes, and completing 40 marathons at the age of 40. My passion is endurance athletics and helping my clients achieve optimal results!" Success. Coach Shannon Treybig has been notified of your message.